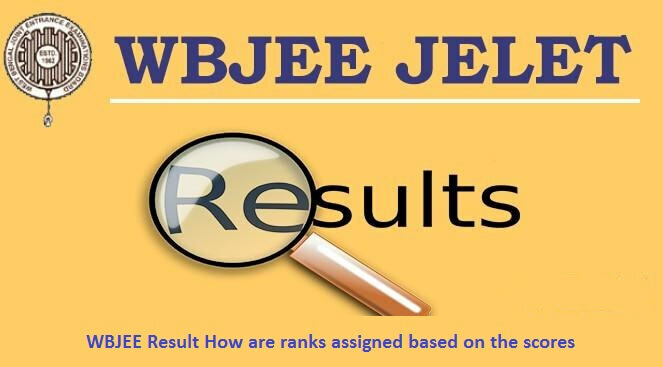 WBJEE Result: How are ranks assigned based on the scores? Home / Education / WBJEE Result: How are ranks assigned based on the scores? With the exam scheduled for May 26, 2019, the WBJEE Result will be available tentatively on July 2, 2019. Majority of the students have the tendency to evaluate their performance as soon as they come out of the examination hall. Check here how the WBJEE ranks are assigned based on the scores obtained in the exam. The result of WBJEE examination comprises of the total score obtained by a candidate with the rank mentioned against the score. Getting an insight into the ranking scheme will help you in making a rough estimation of the score you need to achieve for securing a decent rank which will fetch you seats in top colleges of West Bengal. How to check WBJEE Results? Once the results are declared, visit the official website and click on the results link flashing in the screen. Provide your personal login details such as WBJEE 2019 application id, password and security code. The WBJEE Result will appear in front of the candidate in the form of a rank card. Click on the ‘Download’ option and preserve the copy of the result until you complete your admission procedure. After the revelation of the results, a candidate lacks a practical approach. Thus it is recommended that you invest a considerable amount of time in conducting thorough research about the participating colleges in WBJEE, choose the best colleges offering your desired course and apply for counseling sessions. For 2019, amongst the several universities participating for counselling are Jadavpur University, Maulana Abul Kalam Azad University of Technology, Haldia Institute of Technology, and Heritage Institute of Technology. Admission to these and other universities is determined by the rank which appears on the rank card produced as the result. For those expecting a score of 213+, should look forward to getting a rank between 1-10. We hope that you have gained an idea about the ranking scheme used for assigning ranks to the WBJEE candidates based on their results. Accordingly, you can plan your studies so that you succeed in obtaining a good score and obviously a good rank which will help you in gaining an edge over others who will be part of this competition.